“UFC 118: Edgar vs. Penn 2″ will be jumping off tonight inside TD Garden in Boston, Massachusetts. The first preliminary bout is scheduled to start at approximately 7:20PM ET/4:20PM PT. Make sure to stay with 5thRound.com all night for our live coverage. Spike TV will kick off this evening’s festivities with two live preliminary bouts. The hour-long freebie broadcast starts at 9PM ET/6PM PT. 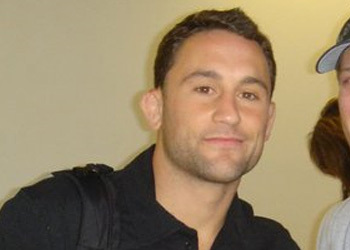 The pay-per-view broadcast will feature the lightweight rematch between reigning champ Frankie Edgar and the man he stole the title from at UFC 112 in April, former king BJ Penn. Opening for the 155-pounders will be a legendary match-up between boxing great James Toney and UFC Hall of Famer Randy Couture. “The Natural” is a heavy 6.5-to-1 favorite to spoil Toney’s MMA debut. A lightweight top contender bout between Kenny Florian and Gray Maynard will be featured in the card as well.